Hey there! 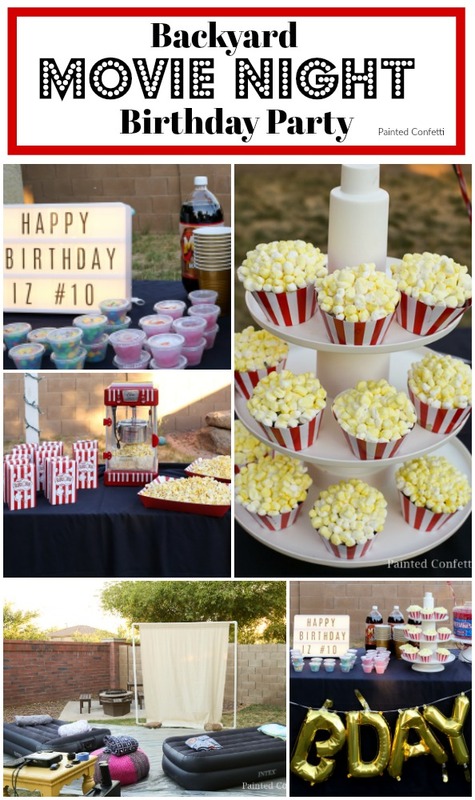 I’m Brandy from Painted Confetti, a place where you’ll find simple DIY projects, fun holiday crafts, family friendly recipes, and easy party ideas. 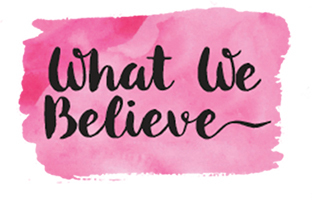 I’m so excited to be a part of the Crafting Chicks’ summer series. I’ve been blown away at the amazing ideas that have already been shared this summer. 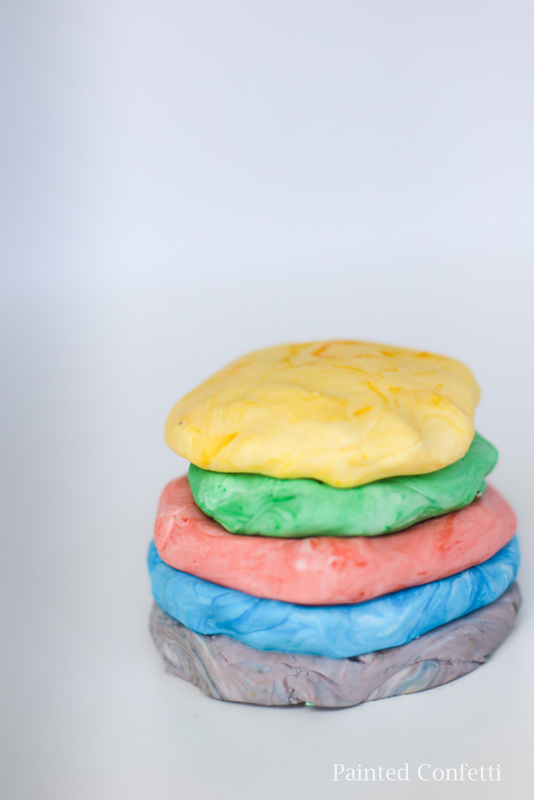 Today I want to show you how to make Cloud Clay, which is similar to play dough but more soft and fluffy. 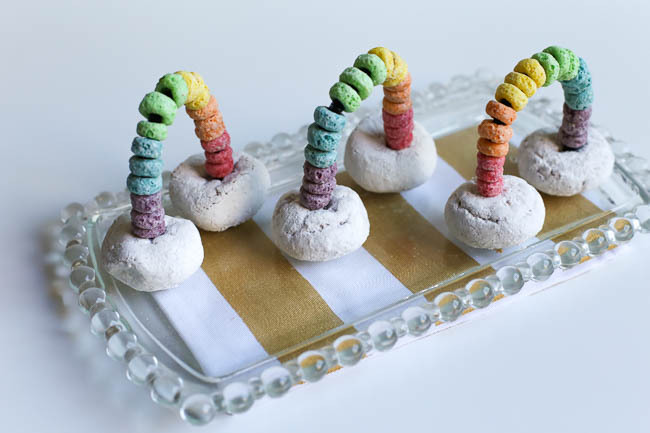 My kids love playing with play dough so when I came across this recipe and knew I could make it AT HOME it became my new go-to recipe. 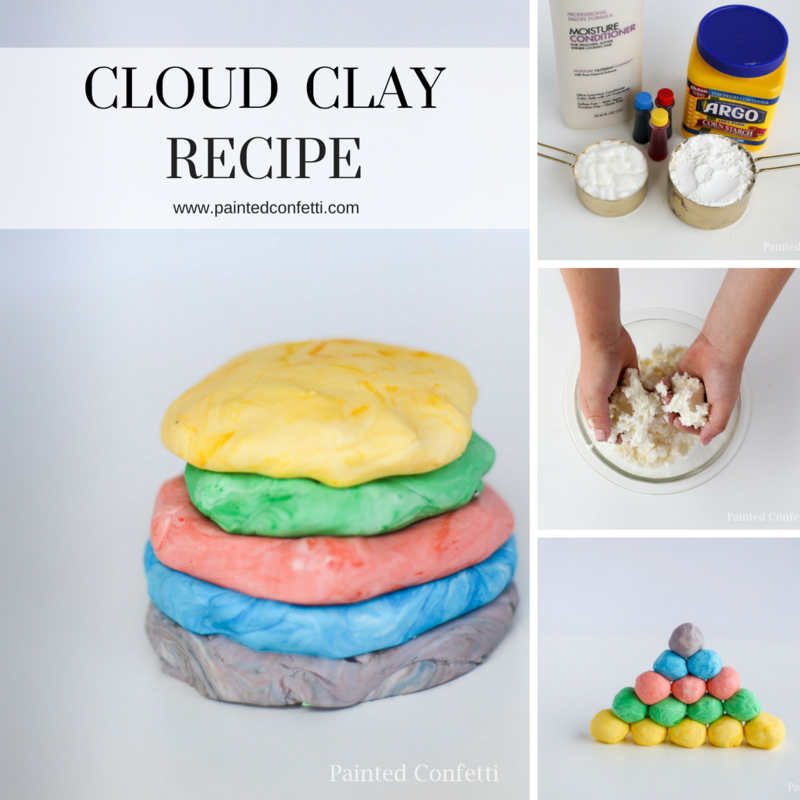 This Cloud Clay recipe is so fast and easy. You only need 2 ingredients that you probably already have in your home right now. Hair conditioner and corn starch. That’s it! A total bonus is that your fingers won’t have that horrible play dough smell. This cloud clay smells really good and leaves your hands super soft. 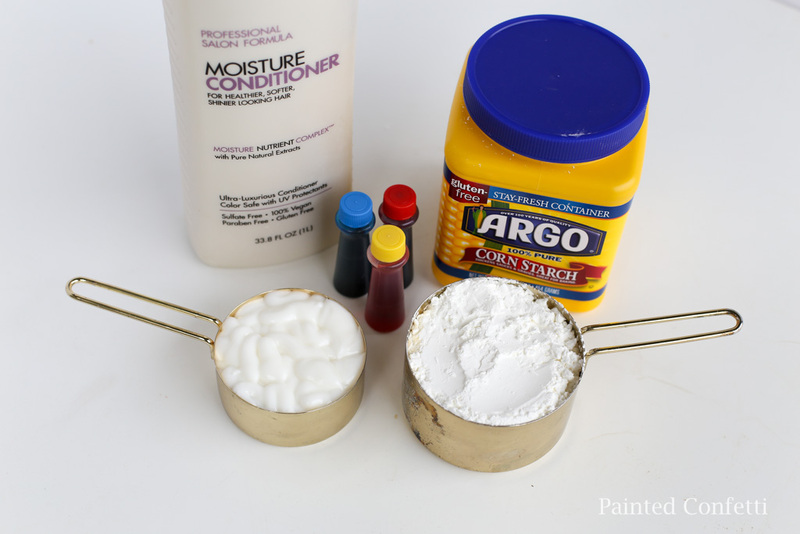 You need 2 parts corn starch and 1 part conditioner. 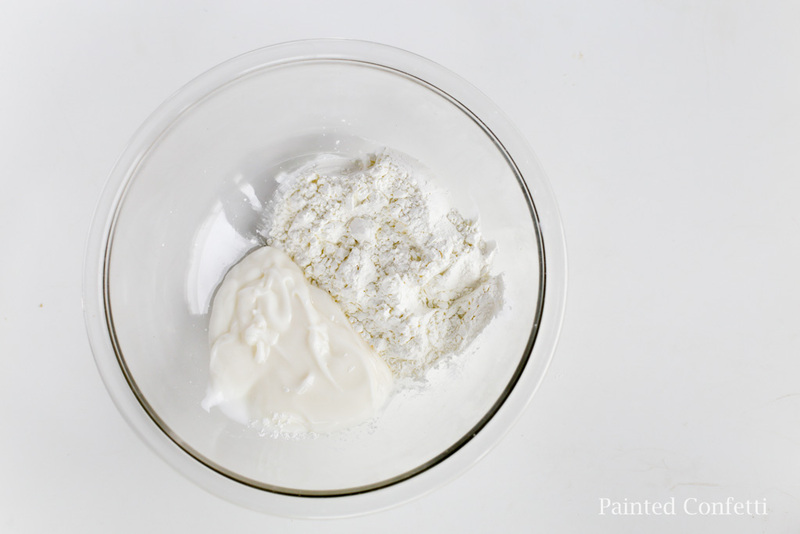 Mix the corn starch and conditioner together in a bowl. Let your kids start mixing the ingredients with their hands. They will love this part. At first, the mixture will appear to be dry but just continue to stir and knead it and eventually a soft dough ball will form. Please note…if you don’t get enough moisture the dough will become crumbly and be more like moon sand. Just keep adding more conditioner until you get your desired consistency. Don’t worry! You can’t mess this up. If it’s too dry, add more moisturizer. If it’s too wet, add more corn starch. 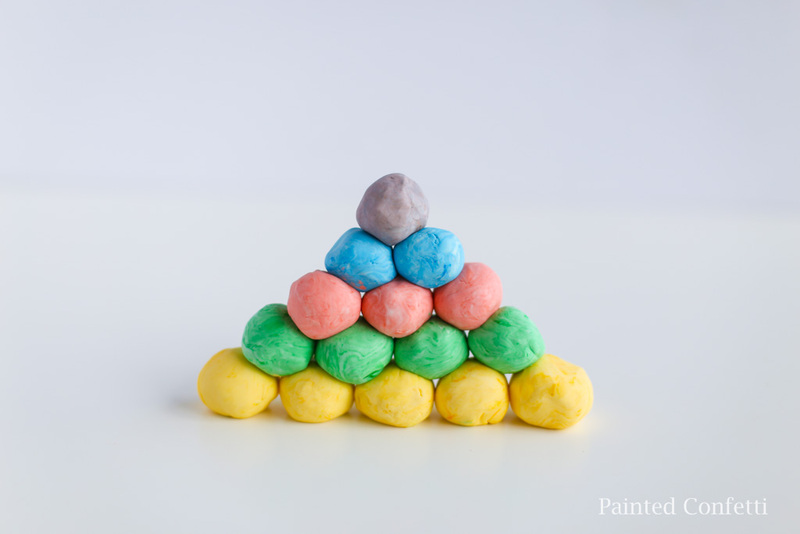 To color the clay you can either add drops of food coloring before you mix the conditioner and corn starch together. Or if you want the marbled look, you can add the color after the clay has been mixed. The best part of this cloud clay is that it can last for awhile if you store it in an air tight container. 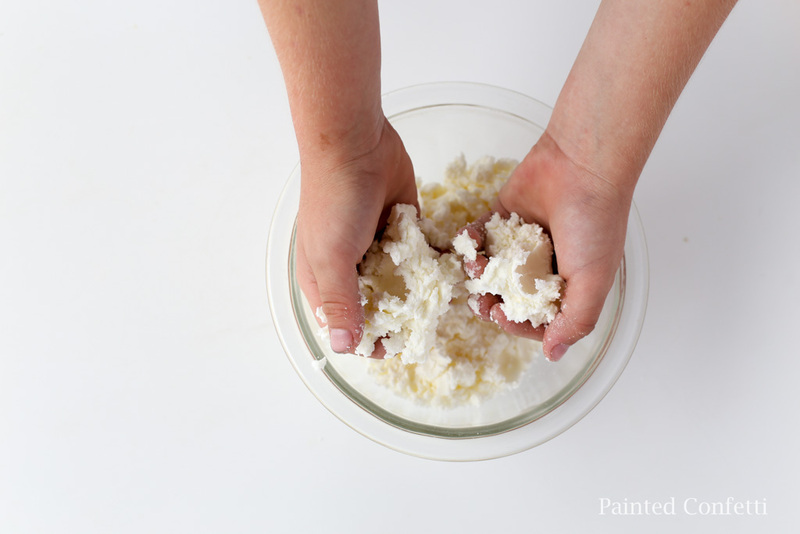 If the clay gets a little dry, you can just add conditioner to the clay and knead it until it’s soft again. 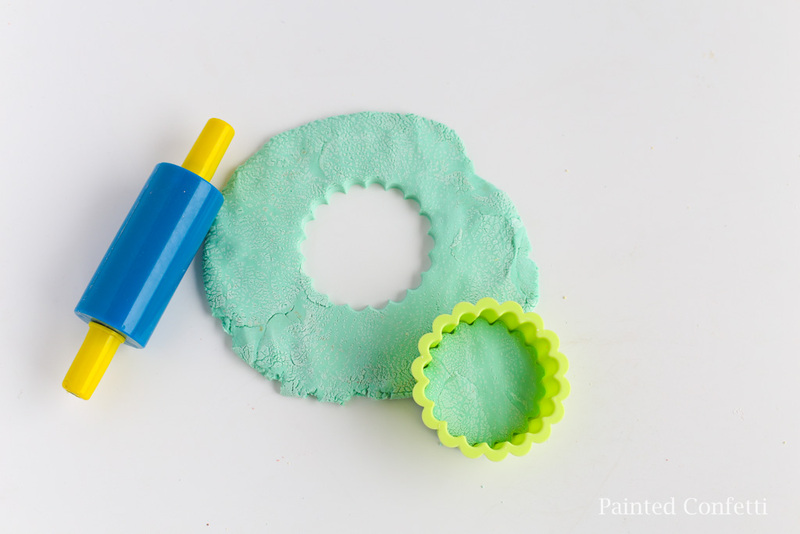 So the next time your kids say they’re bored, make this cloud clay and have FUN molding, squishing, shaping, and rolling! Can you air dry the cloud clay? Is it tough and resilient when hardened? It isn’t. It will kinda start to flake a bit.